Britain encouraged the Sharif Hussein of Mecca to revolt against the Turks by promising to establish to create an Arab kingdom out of Turkish Syria (the region between Anatolia and the Arabian peninsula). However the British later declared in favour of establishing a Jewish homeland in Palestine, partly to appeal to Jewish opinion in Britain and the United States. These promises are not entirely consistent with each other (or indeed with other arrangements Britain has reached with France). Now Chaim Weizmann, a leading British Zionist, meets in London with Emir Faisal, son of Sharif Hussain, to see if some kind of accommodation can be reached between then. Weizmann and Faisal do indeed reach an agreement, signing a document in English (translated for Faisal by T.E. Lawrence, his British advisor). They commit to supporting Jewish immigration into Palestine while acknowledging the rights of Arabs living there and leaving the Muslim Holy Places in Jerusalem under Muslim control. Boundaries between Jewish Palestine and the future Arab state will be demarcated by a commission, while the Zionists commit to advancing the economic development of Arabs living in their area. Faisal adds one slight addendum in Arabic, affirming that the agreement will be null and void in the event that the promised Arab state fails to be established. Turkish forces are expanding into the Caucasus, taking advantage of the collapse of Russian power there. This worries their German allies. The Germans have their own plans for the Caucasus and favour the establishment of pro-German client states in the region, not its absorption into the Ottoman Empire. They also fear that the Turks are putting too much resources into the Caucasus when the real danger is Allenby‘s British Empire and Commonwealth army in Palestine. Allenby has launched a series of diversionary operations towards Deraa in Syria, with the assistance of the ever-growing regular forces of the Arab Revolt. Together with guerrilla operations by Arab raiders (assisted by British liaison officer T.E. Lawrence), these have convinced Liman von Sanders, commander of Turkish forces in Palestine, that Allenby is planning an attack in the Transjordan or Syrian regions. He transfers troops from coastal Palestine to reinforce Deraa. The worst fear of the Germans are confirmed today. Allenby has in conditions of total secrecy concentrated a mighty strike force north of Jaffa. After a devastating artillery bombardment, the infantry attacks, forcing their way through the Turkish defensive lines on the coastal plain. The outnumbered Turks fight as best they can but are soon put to flight. And once the infantry is through the Turkish defensive positions Allenby is able to release his Australian and Indian cavalry to exploit the victory. As the cavalry surge forward towards the town of Megiddo, the cohesion of the Turkish army begins to collapse. Isolated units put up staunch resistance but others take to their heels, surrender, or exchange their uniforms for civilian clothes and abandon the army life. Jerusalem surrendered two days ago. Now Allenby makes his formal entry into the Holy City, with the event filmed for propaganda purposes. Allenby walks through the Jaffa Gate on foot, ostentatiously showing his humility. His honour guard contains men from all the nations of the British Empire that are taking part in the Palestine campaign, together with a token presence of French and Italian soldiers. Also present are T.E. Lawrence, visiting Allenby to coordinate strategy between the Arab rebels and the British, and French diplomat Georges-Picot, co-author of the recently published Sykes-Picot agreement. Allenby delivers a short speech promising that the rights of the three religions in Jerusalem will be respected and reassuring the citizens of the conquered city that they remain free to go about their lawful business. He then receives a succession of the city’s civil and religious notables. When Allenby was sent from the Western Front to take over the Palestine campaign he feared that he was being sidelined. But in a year of failure in France and Belgium, the successes in Palestine shine all the more brightly. Coming at the end of the year, Allenby’s capture of Jerusalem is a triumph that puts his Western Front colleagues distinctly in the shade. British intelligence officer T.E. Lawrence has crossed the Sinai desert to bring news of the fall of Aqaba to the British in Cairo. Today he meets General Allenby, the new British commander in the Levant. Lawrence cuts quite a dash as he is still dressed in the Arab robes he wore while on campaign. Allenby is intrigued by Lawrence’s report. With Aqaba in the hands of the Arab rebels they now have the potential to project their power northwards into the lands east of the Jordan and into the heart of Syria. 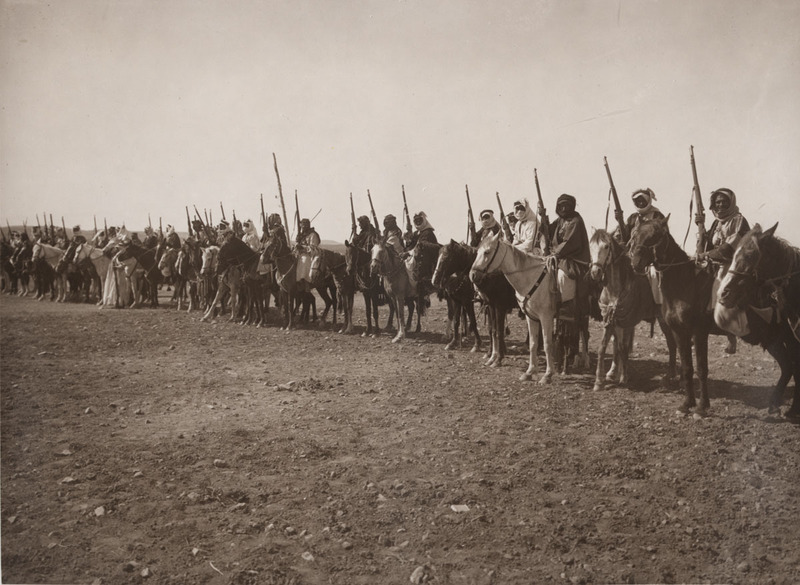 Lawrence believes that the Arabs of this region will ultimately join the rebels in an uprising against the Turks that will fatally undermine their position in the Middle East. Allenby is preparing for an attack on Gaza in the autumn as a prelude to an advance into Palestine. Lawrence’s report offers the prospect of the Arab rebels opening up a new front against the enemy, disrupting their communications and drawing away their troops. 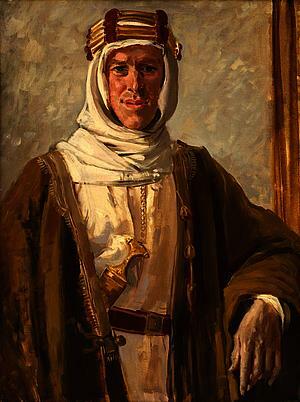 He arranges for an increased subsidy for the Arab rebels but he also despatches Lawrence to Emir Faisal in the Hejaz to propose bringing the Arabs under British command. And in view of the increased opportunities now offered to him, Allenby seeks reinforcements for himself from London.